It is always exciting to discover a writer whose writing you love. Even better when you discover that this book is just one of many and there is a catalogue of other novels by this writer to devour. 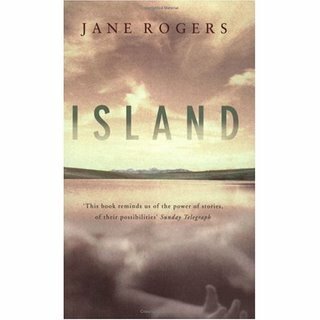 While I was in Lampeter I read Jane Rogers's book ISLAND and couldn't wait to finish my Welsh homework just so I could get on with the next chapter. I read late into the night, and then even found myself waking in the middle of the night wanting to read more. It was that sort of book. The heroine of the book, Nikki, is fairly obnoxious. She is rude, selfish and irreverant. She is not at all sympathetic, in fact she is rather abrasive, and yet she fascinates. Part of the reason for this is that it becomes clear from early on that Nikki has a reason to behave like she does. She was abandoned as a baby and then had to endure a series of foster homes. She suffers from attacks of Fear which debilitate her and eventually at the age of 29, concludes, with a direct first person narrative that involves and holds the reader, that the this Fear is caused by the mother who abandoned her. 'That's why I thought I'd kill her.' she continues. And so this 'heroine', a term that becomes more apt as the novel continues, goes on a short quest to find that mother and kill her. The mother is soon found on an island off the west coast of Scotland and it is this setting and the characters of Nikki, her mother and her strange, backward brother Calum, that form the main thrust of the book. In fact the island almost becomes a character in its own right; its mysterious scenery seems to form the people that live there; and its folk tales are beautifully interspersed, adding extra dimensions to the story. The ending is satisfying and unusual. Here, the narrator seems to draw back. Up until then it was almost as if Nikki was in the same room talking to you, explaining, without compromise, what she did, what happened and why. But at the end she retreats. It is rather like looking at a scene through the wrong end of the telescope from one direction and then another. Nikki begins to talk about herself in the third person which gives the narrative an objective air. It is very effective, surprising and memorable. 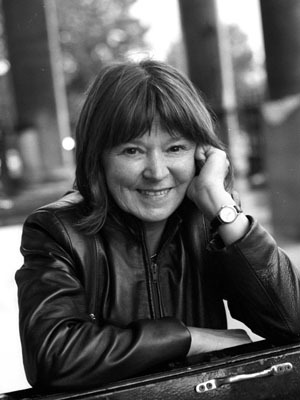 (taken from the front of her last novel THE VOYAGE HOME). Jane Rogers has written seven novels, including MR WROE'S VIRGINS (dramatised as an award-winning televison serial) and PROMISED LANDS, which won the Writers' Guild Best Novel Award 1996. She also writes for TV and radio, and is the editor of OUP's GOOD FICTION GUIDE. She teaches on the Writing MA at Sheffield Hallam University (in fact she is a professor there). I contacted Jane by email and she kindly agreed to answer my questions by email and also submit to a follow-up telephone conversation which I have included below. I thought her answers, particularly about the process of writing, are very interesting. They also enticed me into finding out a little more about the character Caliban, from THE TEMPEST and I found an interesting short essay on the character here. 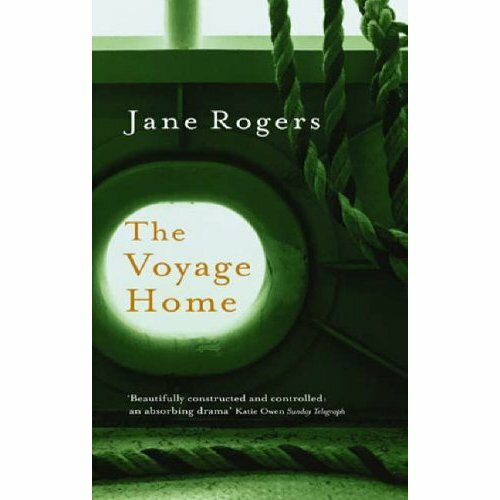 There is more about Jane Rogers and her work on her website. JR: I hate to admit this to you, but I am at war with the army of snails whose aim in life is to devour every leaf in my garden. JR: Giving birth. So, since I have two children, 2 proudest moments. JR: I don't think so. JR: There isn’t one single thing. It changes. I reread Anne Frank's diary recently, and coming to the end of that and thinking about why it ended made me very sad. JR: Open the curtain and look at the day. Questions about ISLAND and writing in general. CD: The character of Nikki is a very unusual one. She is antagonistic and quite unpleasant in some ways, especially at the beginning - not at all like the conventional idea of a sympathetic character - and yet she fascinated me. How did she evolve? JR: It's a novel where fairy stories are important, and I was interested in the idea of a character who would be transformed, or who would effect her own transformation. In the first instance I was after a strong, maybe mad, maybe dislikeable, voice. I had in mind Dostoevsky's NOTES FROM UNDERGROUND – I am a sick man . . I am an angry man. I am an unattractive man. I think there is something wrong with my liver. I wanted that sense of a character who is in your face, and who is not seeking sympathy but is simply telling her life as it is. CD: I found the other main character in the book, Calum, particularly appealing. Although simple, he also turns out to be surprisingly complicated too and at the same time convincing. How did the character of Calum develop as you were writing? JR: There is a little bit of Caliban in Calum. And a little bit of a holy fool. CD: Did you have a particularly holy fool in mind? JR: Just the sort of natural innocent that recurs in literature in various forms. The sort that looks abnormal and weird, and thought to be inferior but really has a hot-line to the truth that Nikki doesn't possess. CD: The setting of the island is important to the story. Is it based on any island that you know? JR: Raasay, the tiny island just north of Skye. CD: Have you been there? JR: Yes, I was on holiday on the mainland opposite Skye and then took the ferry over to Skye and then the island. I went back again when I was writing the novel and although the name of the island in the book is an anagram of Rasaay it is geographically accurate: the coastline, the forest, the deserted village, and the table rock in the water. I found it all quite hauntingly sad. Beneath the village and the tourism it is all still there - the legacy of the croft clearances. That part of the western coastline of Scotland is all like that. CD: Which came first - the setting, the plot or the characters? JR: Nikki's voice, and the setting. I was interested in islands, in the ways in which they are different than the mainland, and in island stories, particularly THE TEMPEST. CD: Fairy stories are a compelling part of the narrative. Are these based on stories that you have heard? JR: They are all based on actual stories; the first is simply a retelling of the Grimm's fairy tale, Fir Apple. Others are based on stories either from the Hebrides or from the west coast of Ireland, one is specifically from Raasay and one is an inversion of a Hans Christian Anderson story. CD: The ending of the book is also very unusual - I love the way the reader is drawn back out of that time and given an almost objective summary. It is evocative and strangely moving. Is the point of view something you experiment with, or think about much at all when you are starting to write a novel? JR: Voice and point of view are my central preoccupations, as a writer. So playing around with point of view, and trying it different ways, is a stage I always go through early in writing a novel. CD: Do you ever start with one point of view and change your mind? JR: Yes. For instance the novel I am writing at the moment started with three different voices - three points of view - the parents and the daughter, but now I have abandoned two of these points of views and am going ahead with just one - the daughter's. CD: When you start a novel what is the most important thing to have established - the plot, the characters or the setting? Is it the same for each novel that you write? JR: I couldn’t say there is one thing that is 'the most important to have established'. Each novel is different, but also, I quite often write my way into discovering what it is I want to write about. I think I write in order to understand something better, the writing is a form of exploration, so the notion of 'establishing' something at the start isn’t quite right. I make a lot of stabs at it, to begin with. It is a wasteful process, I throw a lot away. 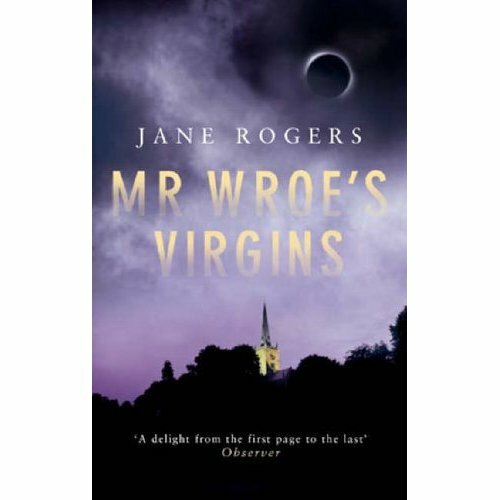 CD: One of your novels, MR WROE'S VIRGINS, you converted into one of my favourite TV dramas.- and I would love to see more What did you most enjoy about this process? Are there any of your other novels you would like to convert into a drama? JR: I enjoyed the collaboration on MR WROE, it's good for a novelist to work with other people and bounce ideas off them. The feedback and criticism and engagement of other people is something I miss, working on my own. PROMISED LANDS, the book that followed MR WROE, was commissioned as a screenplay, which I have written, but sadly C4 backed out. It's set in Australia in 1788. I would love to see it made. CD: Did you go to Australia to research the book? JR: I have relatives in Australia - my family emigrated when I was twenty so I have visited them there a lot. The book grew out of a desire to write about the geography and history of Australia. CD: MR WROE'S VIRGINS is based in the eighteenth century on a true tale whereas ISLAND is a modern and (I guess) completely fictional tale. Do you prefer to write historical or modern fiction? JR: MR WROE is set in 1830, and is a local story, for me. It took a huge amount of research for me to feel confident with the material, but because I was dealing with the framework of an existing story, in some ways it was easier to write. I've written 3 novels with historical settings and 4 with contemporary, and currently I'm working on one set in the future. They are all different, I couldn’t say which I prefer! This sounds like a fascinating books, Clare, and definitely one for my reading list. I also love the idea of that reading week in France, what a wonderful way to spend a holiday. I am definitely going to keep track of this if you are doing something similar next year (too late to take advantage this year, even if (unlike the party) you have any spaces left). Maxine: Yes, I highly recommend Jane's book - I have two others gradually surfacing in my TBR pile. 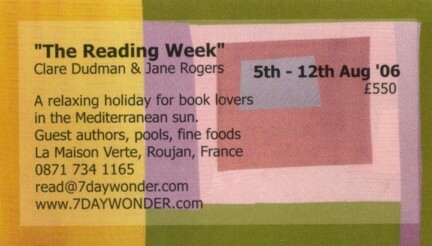 And yes, I'm really looking forward to this reading week - it should be good. If it goes well I might be asked back, so I'm keeping my fingers crossed. I agree with Maxine. I must read this. And I appreciate the interview, finding the 'writing into' a novel particularly interesting, because I seem to be doing this myself and thought I was always doing something wrong. A group of friends do a guided reading week periodically - usually in a beautiful setting -one person in charge of preparing something like a study guide. I wonder whether I've been obnoxiously stubborn about not going along.